Lowdown: A careful, detailed, cause and effect review of where artificial intelligence may take us. Multidisciplinary scientists, such as cosmologist Max Tegmark, have a tendency to produce truly enlightening outputs. I would argue Life 3.0 is a fine example of the breed. Tegmark’s premises are simple enough to understand: Life 1.0 refers to the likes of bacteria, where both the hardware and the software they run on was produced by evolution rather than by design. Us humans represent Life 2.0, made as we are of evolved hardware but capable of designing the software we run on. Life 3.0 is the life form that can design its hardware, too; and that is where our world is heading for with the development of artificial intelligence (AI). The question is, where would that development take us? Would it do us a world of good and give us the promised Garden of Eden, or are we digging our own grave? Tegmark provides several examples to show why we are on dangerous grounds with AI, even if - at the same time - he completely dismisses the Terminator like scenarios. At the core, he argues that we need to maintain control of the AI and, most importantly, ensure our AIs' targets align with ours. The rest of the book is pretty much an elaboration on the details. 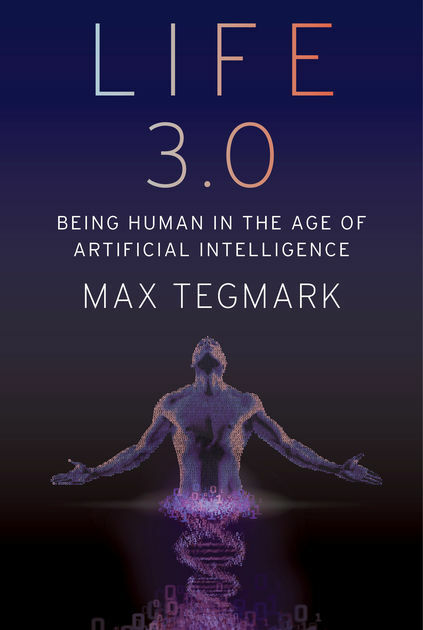 For example, Tegmark proves that our philosophy is centuries behind our technology, and without the adequate levels of philosophy to back us up with we are heading towards a world where technology will overtake us. He goes forth to examine potential scenarios for advanced AI (and no, it’s hard to imagine anyone liking those scenarios much), and even discusses how an intergalactic empire constructed by our future AI would manage the limitations of the laws of physics in order to run its course. It’s just that, in all of these scenarios, it is hard to see what role humans might play. Following such a long, thorough and multidisciplinary review of the implication of AI, Tegmark argues in favour of us stopping to ask what future we want. And I totally agree; in the last decade alone we have seen technologies such as the smartphone and the social network dictate the way we should live, instead of us actively choosing the technologies that would support the way we would like to live instead. Overall: If you would like to know where us humans are at with regards to AI, and seek enlightenment about its potential outcomes, then this great thought experiment that is the book called Life 3.0 would be an excellent start. 3.5 out of 5 artificial crabs.